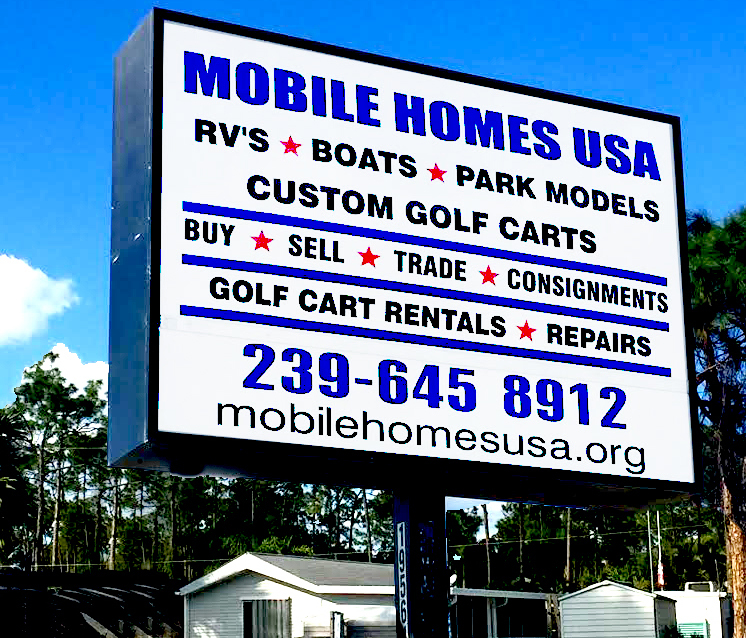 Mobile Homes USA – New Dealership opened 19561 S. Tamiami Trail, Fort Myers, FL 33908. It is early days for the sales lot which is undergoing changes weekly. The Sales Lot has a selection of Attainable New and Used Mobile Homes, Park Model Units and RV’s. When you approach the lot you will see a log cabin usually seen in mountainous regions, these cabins are beautiful inside and out, perfect for your property. These cabins start at $30,500.